One of the hottest trends in bath design is open, clean-line spaces. This serene look is accomplished by reducing distractions caused by too many ornate details. 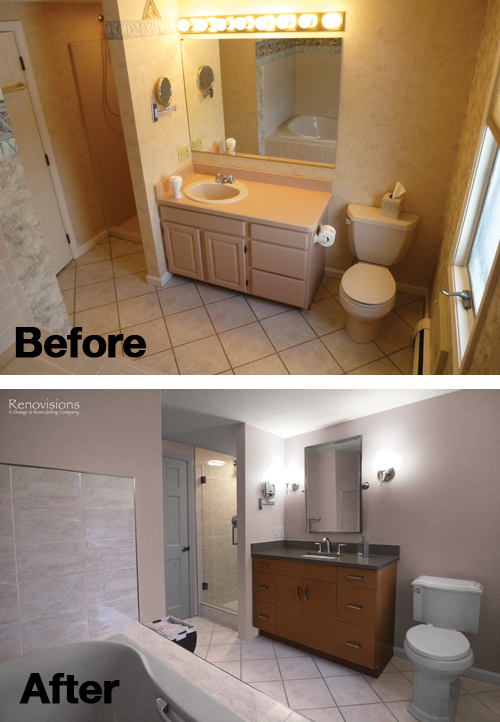 This client approached Renovisions to remodel her outdated master bath and create a clean and uncluttered space with a contemporary flair. The bathtub and tile floor remains in the new design adding a small challenge to coordinate the right color selection for shower and tub surround tile. The existing bath’s fiberglass shower was cramped, under utilized and under styled, so Renovisions first enlarged the depth of the shower with a complete water proof system, hand-held shower and soap dish, corner shelf and safety grab bar. A teak veneer vanity was designed to compliment the client’s master bedroom teak furniture. A beautiful combination of sleek grey quartz countertop, rectangular under-mount sink, modern plumbing fixtures, stylish hardware and a simple yet elegant tilt mirror completed the contemporary look. 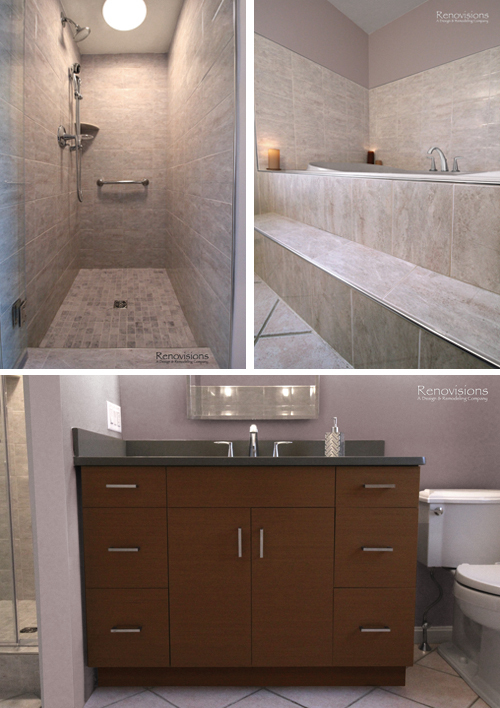 This renewed master bath combines functionality and aesthetics in perfect harmony.